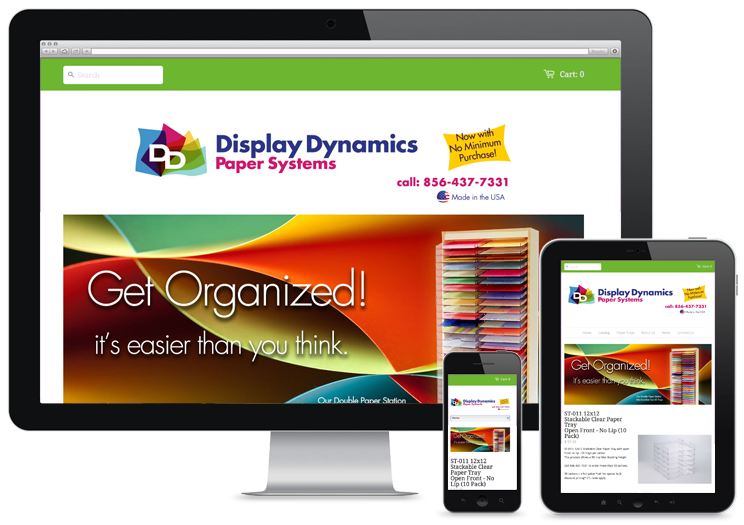 Hypno recently completed the design and production for a new e-commerce website for Display Dynamics. The new commerce website design features responsive design layout that works on mobile and tablet browsers, and prominently features their e-commerce shopping portal for their manufactured products. Hypno designed their new logo and brand identity as well.